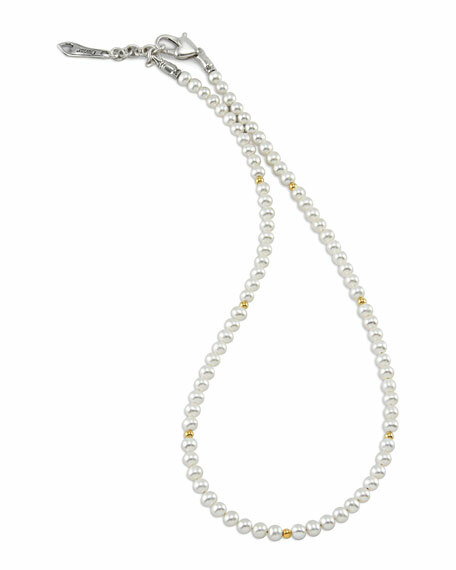 For your little princess, LAGOS crafted a sweet pearl necklace with gold Caviar bead detail and finished with a silver lobster clasp featuring a signature heart. From the LAGOS Kinder Collection. Freshwater cultured, naturally colored pearls. 18k gold signature Caviar beaded accents. Sterling silver lobster clasp with heart detail. Pearl, 3 1/2-4 1/4 mm.